Once the chilly temperatures hit, there are endless ways to stay bundled up. When it comes to tying your scarf, there are no rules. But, a few styling tips never hurt anybody. 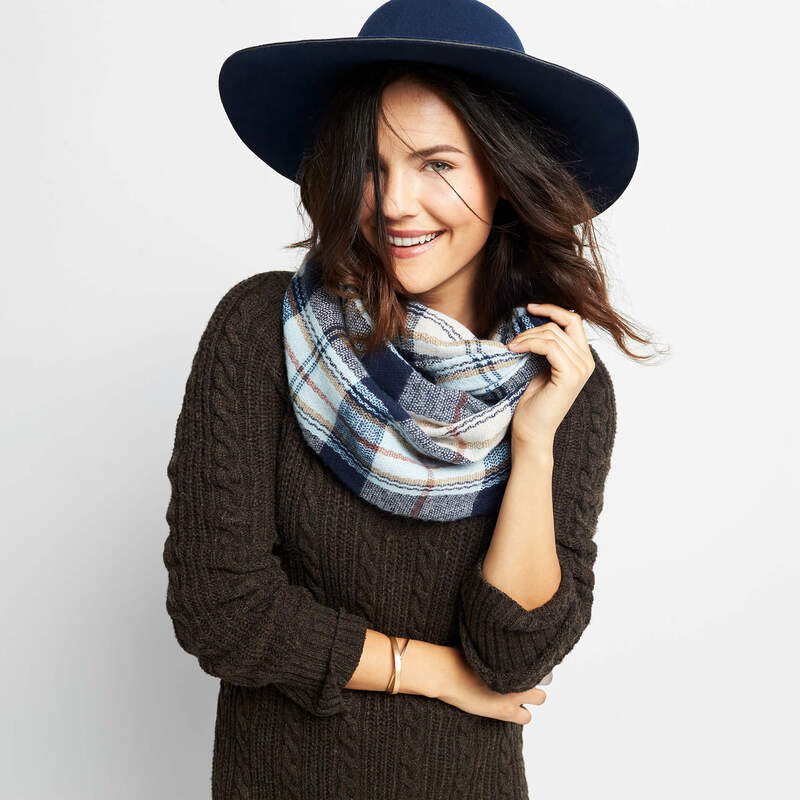 Keep reading to learn more scarf-styling tips from our Stylist, Jennifer! 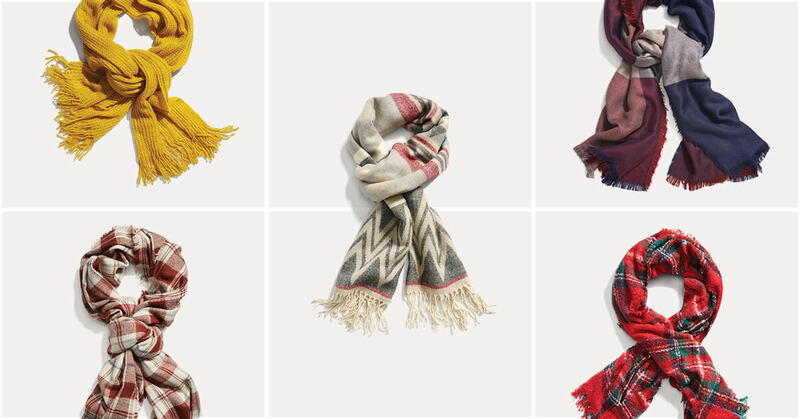 Blanket scarves with extra bulk are the perfect style for creating a giant, bohemian-inspired look. First, take both ends of your scarf and wrap it around your neck 1-2 times (depending on the length). Then take the ends and form a small knot to (literally) close the loop. Play with the extra fabric at your neck. If you want something more unkempt, try pulling the scarf down to create a looser style. If your blanket scarf is more on the rectangular side, take the scarf and layer it over the back of your neck. Hold each end of your scarf and adjust so that one end is much higher than the other. Then, take the longer end and start to wrap it around your neck, making adjustments to tightness and bulk as you go along. Once you’ve run out of scarf, tuck the ends into the scarf to hide them. 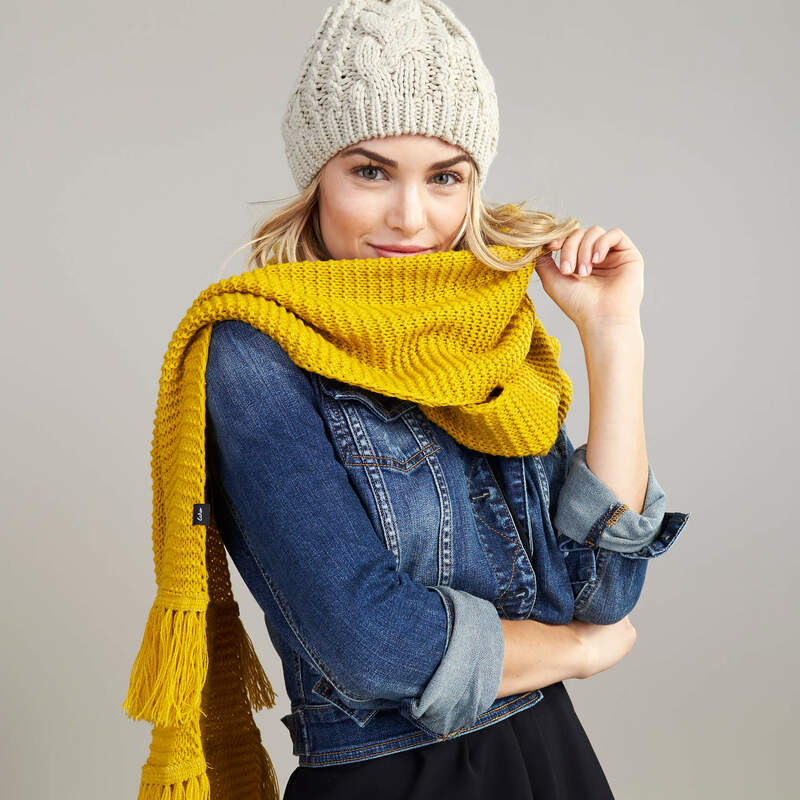 Keep it simple by looping your bulky scarf once around your neck. You can also wear the scarf as a layering piece by draping it over your shoulders as a shawl. Want more style tips? Ask a Stylist anytime. How do you style your blanket scarf? Tell us in the comments!